We stayed only for a night but the fcilities were great, there are pots, a microwave, a little stove, ever a griller for bread so everything you need to dine in and prepare your lunches for the day after. The bed was very nice and comfy and the room was functional. The bathroom although small, it had everything we needed and the shower was amazing. We really appreciated that even though there was no breakfast, they left in the fridge a basket full of goods and fruits that would replace the breakfast which was amazing. There's no reception, but the whole check-in check-out process is so simple that you don't need anybody to help you. The Wheel Pizza and Sub shop was an amazing place to eat pizza and Garlic Fingers. Very quiet and private. Also felt very safe coming back to the property at night even though I was travelling alone. There were always parking spots available which was very reassuring. The staff was very helpful and helped me find my room on the first night and also brought me a kettle to use during my stay. The house keeping staff were very considerate and polite and did a great job of cleaning the room. I would highly recommend this property to solo travellers. The location is ideal. They even offer yoga classes and massages at the property. The concept is really awesome. The design is very good too. We like the fact that we could do everything by email. The employees answered fast to our inquiries. In addition, they give you bottles of water and different snacks and fruits in the fridge upon your arrival. The place in general is really beautiful, especially the entry hall. The rooms was very clean. With excellent amenities whether you staying for one night or more. The room was well equipped. Love the added water bottles and yogurt in the fridge. I will definitely stay here again. Excellent location. Small but perfectly designed and put together. We were only there one night but had all mod cons for a longer stay. Great shower! Overall efficiency of unit. Complimentary water, a couple of pieces of fruit and granola bars was a very nice touch. Fully equipped kitchen (minus oven).Nice big fridge with complementary treats. Comfortable Murphy bed could fold up by day and convert to couch. A/c kept us cool. Lock in a great price for Micro Boutique Living Antigonish - rated 9 by recent guests. 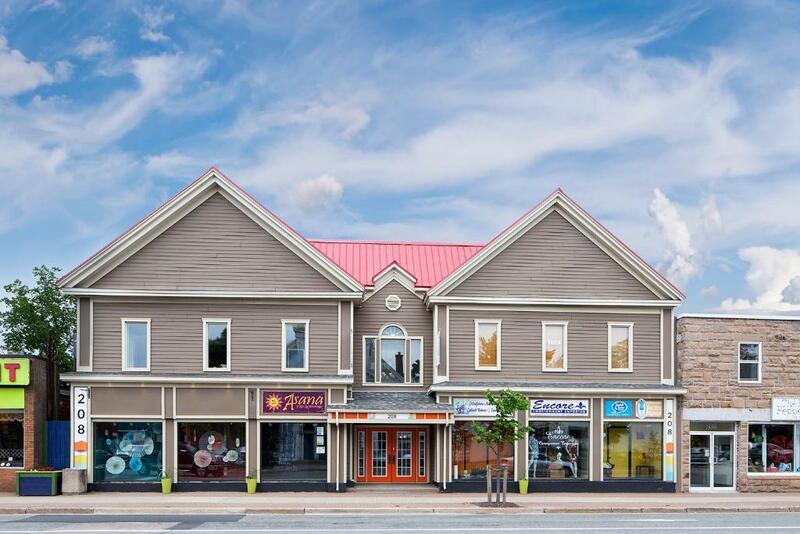 Centrally located in downtown Antigonish, Micro Boutique Living features an onsite shopping complex. This European-style self-accommodating apart-hotel features feature a kitchenette. Free Wi-Fi and a pillow-top mattress is available in each guest room at the Micro Boutique Living Antigonish. Cable TV is included and the en suite bathroom offers a massage-jet shower. St. Francis Xavier University is 5 minutes’ walk from the Antigonish Micro Boutique Living aparthotel. Fiddler’s Green Golf Course and Driving Range is 10 minutes’ drive away. This property also has one of the best-rated locations in Antigonish! Guests are happier about it compared to other properties in the area. This property is also rated for the best value in Antigonish! Guests are getting more for their money when compared to other properties in this city. Micro Boutique Living Antigonish has been welcoming Booking.com guests since 28 May 2013. 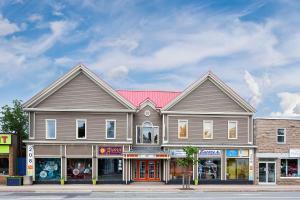 When would you like to stay at Micro Boutique Living Antigonish? A kitchenette is available in this studio. A dining area, work desk, and an en suite bathroom with a massage power shower are also featured. 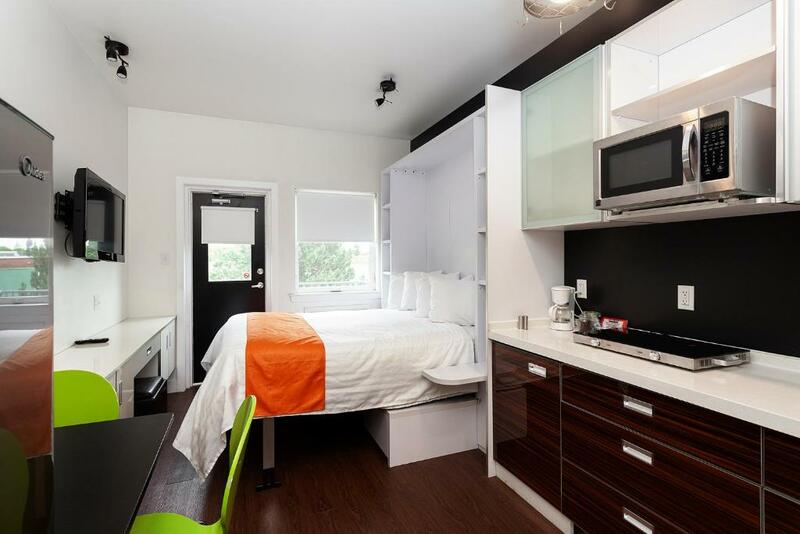 What is MICRO Boutique Living? Micro Boutique Living is where cutting-edge design meets out-of-the-box thinking to craft elegant, fully-furnished suites that are minimal yet highly functional. The result? A compact jewel of a space that has everything you need, exactly where you need it. Each of our chic suites comes with a super-comfortable, pillow-top queen bed complete with fully equipped kitchen, balcony with patio set, 3 piece bath, built-in furniture, dining area, HD TV, WiFi and AC. Sweet! House rules Micro Boutique Living Antigonish takes special requests - add in the next step! Micro Boutique Living Antigonish accepts these cards and reserves the right to temporarily hold an amount prior to arrival. Please note: There is no reception desk at the property. The property will send a separate confirmation email with check-in instructions. Staff are available in the office between 08:00 and 21:00. Please contact the property before arrival with estimated time of check-in. The shower seemed to be clogged, if you took a shower you would see the water filling and your feet being in the water. It was a mural bed but it did not close properly, so I was always scared it might fall when I seating on the couch underneath the bed, it eventually never did, which is great. There was nobody on the premises and it if you wantedsomething you had to wait until the morning when the housekeeping would come. We wished there were many more Microboutiques in some bigger cities, because we would book again. My room was changed at the last minute to a lower floor due to a "tenant returning a month early". The room was quite dark and my balcony backed onto the HVAC equipment on the roof of an adjacent building . The bathroom sink was miniscule and when I was washing my face, the water would splash on the floor or on my feet. We you pay attention to the details you see that the place has a couple of flaws. We found mold around the sink and in the AC vent. Since my girlfriend is allergic to molds, it was very annoying for her. Rust was leaking from a handle in the shower. We also found a blood stain on a pillow... Fortunately, they were very prompt to clean it when we asked by email. However, they should pay more attention to these small details, it is disappointing to see and very annoying when you are on vacations. Also the refrigerator was pushed against the wall so it could not breath and cool down properly. The wall was wet et condensation had formed in the refrigerator. We also saw that the walls were not well painted since we saw the old colour behind the paint in some places. It was very small! No room to place your suitcase! It was a great location! The shower was wonderful! Shower system modern, but could use maintaining. Modern, conveniently located. Slick virtual check-in. Kitchenette. Nice touches like light breakfast in your fridge! Parking lot was difficult for us to find. We had information from the booking but still hunted to find our way in off Sydney street. Possibly the fact that it was raining made this more difficult. Everything you needed was definitely in the room. Right downtown so could walk anywhere in very little time. Only a 10 minute walk from St F X University. Keyless entry. We arrived a bit early and phoned to get in sooner than 3. They accommodated us. The towels had the musty smell of self laundry. There is no one on site. While this wasn't an issue, ever thing was done remotely. We weren't sure where to park initially, but did find someone who was able to help direct us. This was our first time on a murphy bed! It was comfy. We enjoyed the food items left in the fridge for us with a note, along with the microwave popcorn. All you needed for a stay, Kitchen was well equiped and laid you for max. use. The room were comfortable and very clean. We enjoyed our visit in Antongnish very much. I would recommend this hotel if you are planning to stay a few day and enjoy having breakfast in your room. There was a small seating place was outside, The laundry was convienent. Enjoyed our stay. We were on the 3rd floor and there was no elevator. This property was just as it had been described. We were very pleased.